DLF has sought shareholders' nod for this deal at the annual general meeting to be held on September 29. In a report, ISS said that there are two key developments arising from this transaction. New Delhi: DLF promoters' decision to sell their entire stake in its rental arm for Rs 11,900 crore will remove existing conflicts of interest and help the realty firm in growth of its commercial real estate business in partnership with Singapore's GIC, investment advisory firm ISS said. Last month, DLF promoters sold their 40 per cent stake in DLF Cyber City Developers Ltd (DCCDL) for Rs 11,900 crore. The promoters will infuse net proceeds into DLF Ltd for debt repayment. This deal, the biggest in the country's realty space, included sale of 33.34 per cent stake to GIC for Rs 8,900 crore and a buyback of remaining shares worth Rs 3,000 crore by DCCDL. Firstly, it said "the promoters of the company will exit DCCDL, thereby removing existing conflicts of interest in the ownership of DCCDL". Further, it said DLF would have "a long term strategic partner (GIC) to pursue the growth and development of the group's rental business." ISS concluded that this "resolution warrants shareholder support" based on strategic rationale of the transaction and in the absence of any known issues concerning the proposal. 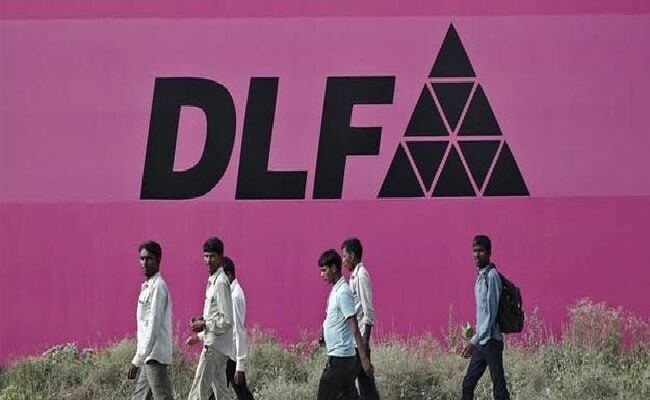 Promoters are expected to raise about Rs 12,000 crore and will invest bulk of the net proceeds in DLF through subscription of shares and/or convertible securities, ISS said, adding that a separate shareholder meeting would be held to consider the manner of such private equity placement. The research report included a recommendation against the election of G S Talwar as director, saying that "he attended less than 75 percent of board and committee meetings over the most recent fiscal year, without a satisfactory explanation". Singapore's sovereign wealth fund GIC will have to seek approval of fair trade regulator CCI for this deal. Post-conclusion of this deal, DLF's stake will increase to 66.66 per cent from the current 60 per cent. DLF had earlier said that it expects an infusion of Rs 13,000 crore into the company, a better part from promoters, by December and the amount will be utilised for reducing its debt substantially. The company expects over Rs 10,000 crore from promoters and another Rs 3,000 crore from institutional investors. DLF had a net debt of nearly Rs 26,000 crore at the end of the June quarter, out of which Rs 5,500 crore pertained to its rental arm DLF Cyber City Developers Ltd (DCCDL). ISS's research team provides comprehensive proxy analysis and complete vote recommendations for approximately 40,000 meetings annually in around 117 markets worldwide.